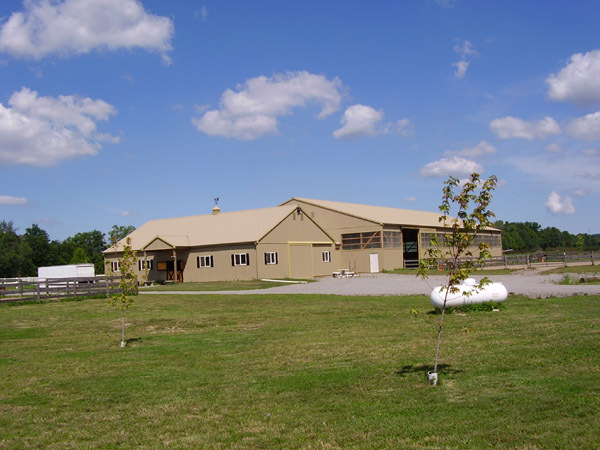 The Equestrian industry is growing by leaps and bounds – and Building Boss is here to assist with design and construction of your riding arena and horse barn. 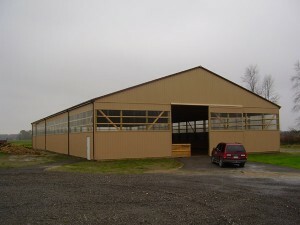 Traditional post-frame buildings have been part of the Canadian landscape for decades. 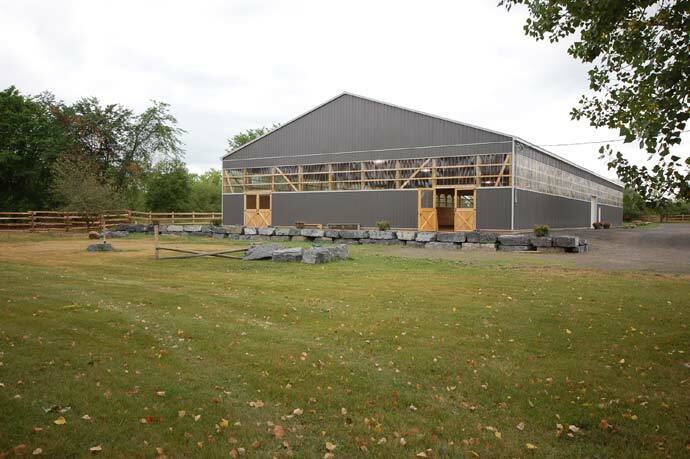 Building Boss provides design, consulting, engineering and construction services tailored to meet all of your specific needs and most importantly your budget. 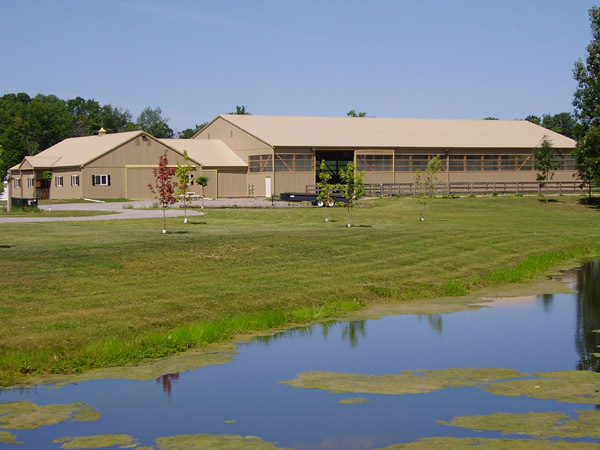 We develop material specification and computerized quotations and offer a complete line of all components and accessories that go into your building. A post frame riding arena is the simplest and most economical method to provide a permanent building to protect riders from the elements when riding. 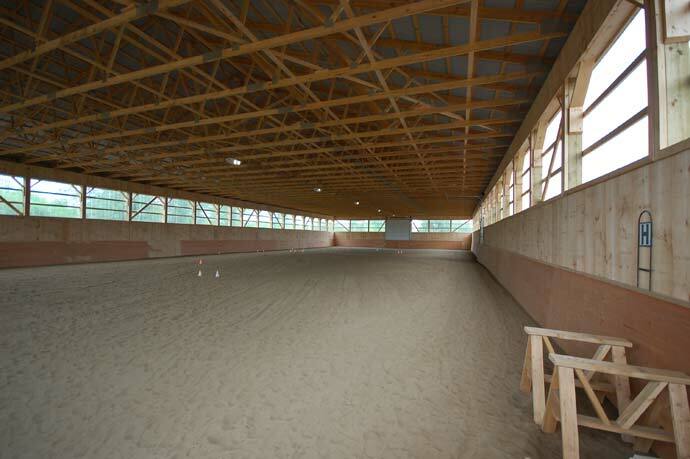 A post frame riding arena is competitively priced with most of the fabric structures which are also popular for riding arenas. 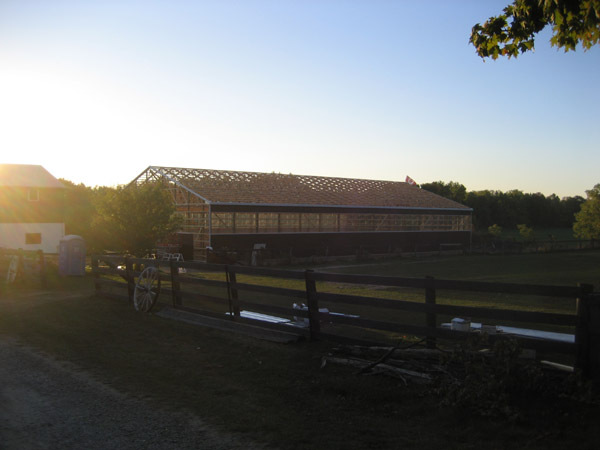 The difference is: a post frame building is engineeered for your site and the steel will not need replacing during the life of the building. 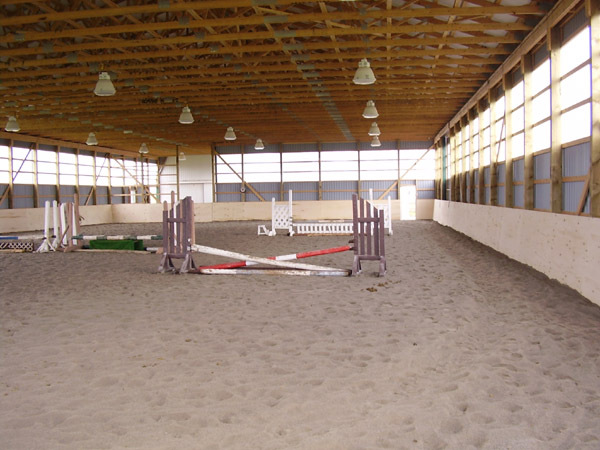 And with up to 8′ of wall lite around the perimeter, we create a well lit and airy space for riding no matter the weather outside. 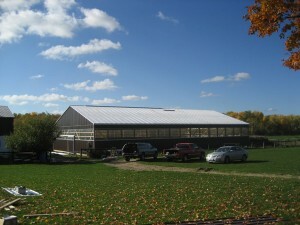 A typical minimum width is 60′ and range to 80′ for a wood framed structure. 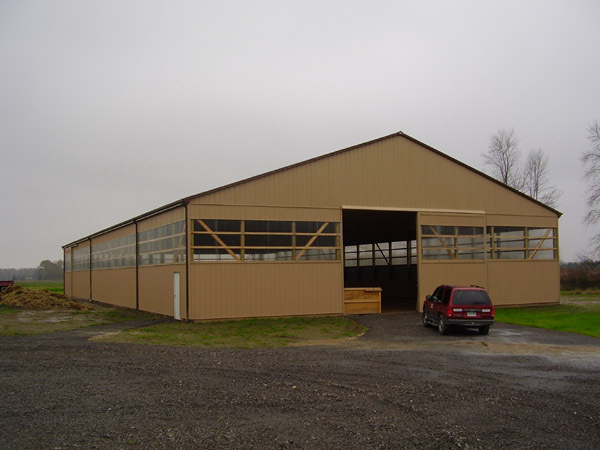 Spans greater than 80′ are possible, but costs rise significantly and at those widths, a steel building may be more economical. 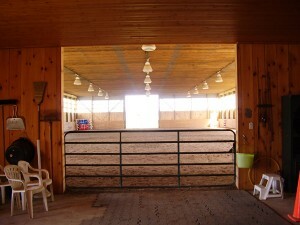 Typical lengths could start at 60′, but usually start at twice the width. Height of the riding arena is measured from the footing to the underside of the truss and Building Boss recommends at least a 14′ height, with 16′ as the most popular height- with a relatively small additional cost. 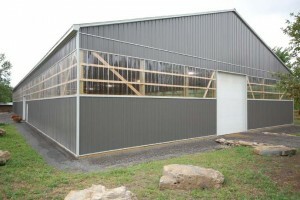 The 16′ height allows for 6′ of wall lite starting 8′ above the footing. 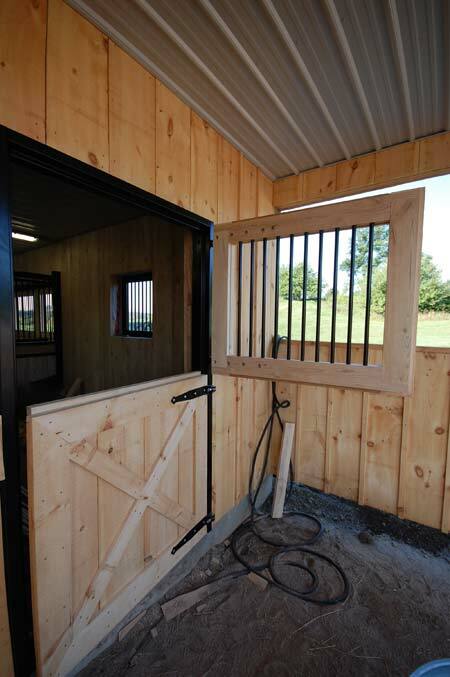 This prevents horses spooking if they were to see outside with lower wall lite. 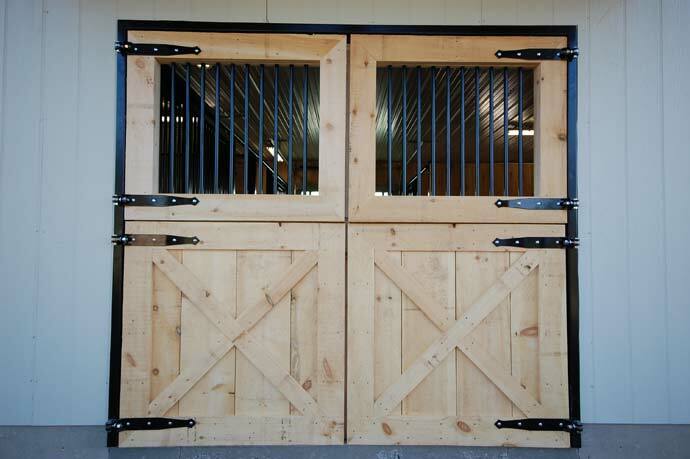 Kickboards- can be as simple as 3/4″ plywood up to Tongue and Groove Ash. 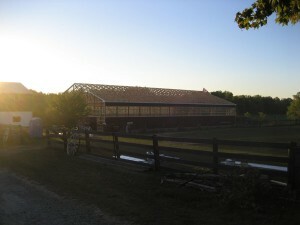 AgPlus under the roof steel will stop condensation and “rain” inside the riding arena. Venting Track Doors- these can be standard “sliders” or garage doors or even clear polycarbonate garage doors to maximize natural light. 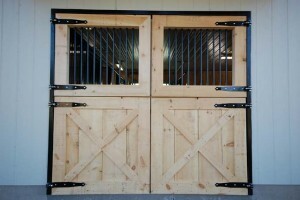 Doors can be sliders, dutch doors or garage doors. 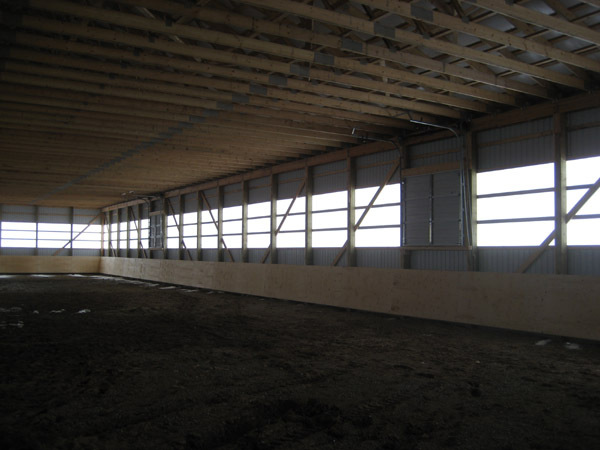 We recommend that doors larger than 8′ wide be located on a gable wall to reduce cost. Interior walls and ceilings can also be finished. There are many different options for lighting from standard fluorescent type fixtures to metal halide. 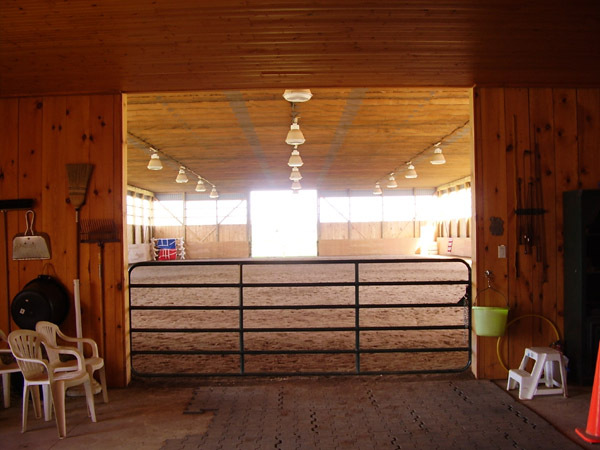 Each lighting option has drawbacks and benefits.